Alibaba Cloud has recently inked a deal with the Singapore Management University (SMU) to further develop the skills of over 1,000 Singaporean workers by enrolling in different relevant courses. Alibaba Cloud’s very first continued-education programme is initiated through the SMU-Alibaba partnership. This is a dream come true project for the Chinese firm outside its home market. SMU Academy, the university’s professional training arm, will facilitate the project and the launching is set to be in March 2019. Leon Chen, country manager of Singapore and Indonesia at Alibaba Cloud, cited Singapore’s endeavour to become a smart nation. Chen noted Alibaba’s partnership with SMU seeks to prepare and equip local businesses with the necessary tools and technologies to enable Singapore to move forward. 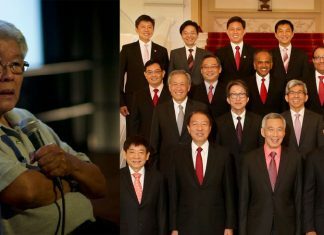 He stressed that combining success stories and the team’s holistic approach to technology will ensure a well-prepared Singapore for the future. Starting March 2019, about seven courses will be made available to Singaporean skilled workers such as big data analytics and applications in business, Internet of Things, essentials of cloud computing, smart retail and marketing, technology and applications, smart finance, smart logistics, and smart manufacturing. These seven courses will be provided for the SkillsFuture Series of training programmes in the promotion of training in eight priority and emerging skill categories. More advanced courses are in store for the future. Upon completion of a course, a participant gets a joint certificate provided by the SMU Academy and Alibaba Cloud. Also, the series of courses are funded by SkillsFuture Singapore. Both Singaporean citizens and permanent residents are entitled to 70% course fee subsidy while Singapore citizens aged 40 and above get 90% subsidy, including SMEs who allow their local staff (Singaporean citizens and permanent residents) to train. 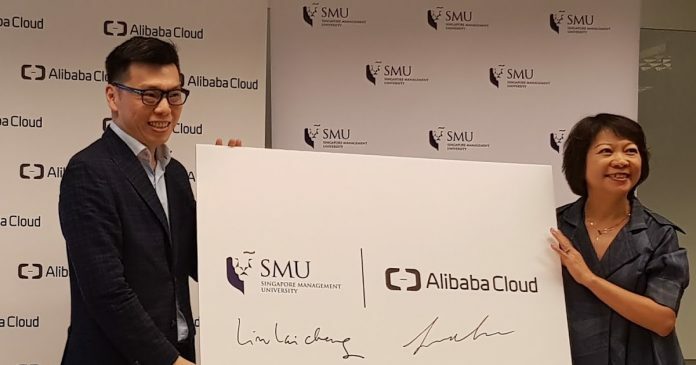 Dr Lim Lai Cheng, executive director of SMU Academy, was deeply honoured to team up with Alibaba Cloud in this first-ever project. He added the collaboration can promote Alibaba’s advanced technologies and competitive industrial knowledge while SMU can incorporate its thought leadership, academic rigour, and outreach in the various programmes. Cheng noted the courses being offered will be advantageous to many Singaporean professionals who are looking to upgrade their expertise and skills in the emerging technologies. Also, this is a good venue for companies that are keen to adopt digital and smart technologies in developing further their business models.